Ethan Zohn has been married to Lisa Heywood since July 16, 2016. They have been married for 2.8 years. Where and/or how did Ethan Zohn and Lisa Heywood meet? Ethan and Lisa met at a Clinton Global Initiative charity event. 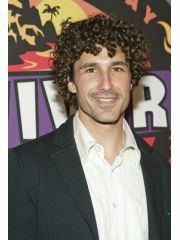 Why did Ethan Zohn and Lisa Heywood break up?